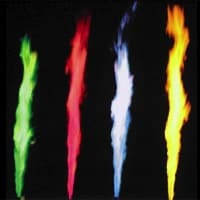 Our exciting flame projectors produce stunning blasts of red, blue, yellow and green flames which are controlled by us to give a very spectacular display! These can be added to your display or indeed a feature on their own! They are a very unique and exciting form of entertainment for your wedding.